6953 E Trailridge Circle, Mesa, AZ.| MLS# 5860199 | Charlene Malaska, (602) 790-5464, Malaska Real Estate - Your Premier Real Estate Agent for Handling Las Sendas, Mountain Bridge, The Groves and Red Mountain Ranch. I also can help with your Real Estate needs in Mesa, Gilbert and Scottsdale! Welcome to Las Sendas! Blandford homes master planned community with clubhouse, fitness center, heated pools, tennis, BB, parks & pickle ball sport courts. This single level 5 bedroom & 3 bath Galaxy model sits on almost a very private 1/2 acre lot! Beautifully appointed with hardwood flooring, formal living room / office, dining room & family room. Split floor plan. Plantation shutters. Dec 2018 carpet, 2017 new AC's, exterior & interior paint. 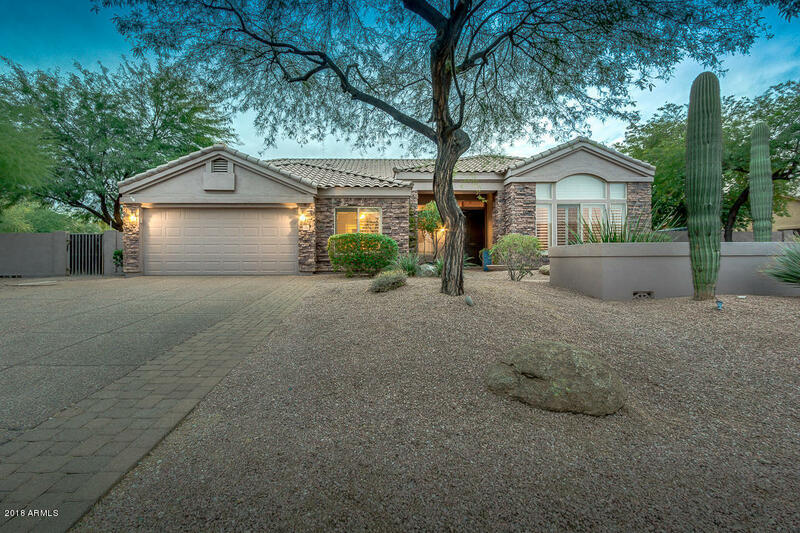 Open kitchen w/ custom cabinetry, informal dining, large family room w/ bright windows. Private master suite w/ full bath & 2 walk in closets. Secondary bedrooms w/ own wings & walk in baths. Huge back yard w/ fenced pool, covered patio, lush landscaping & grass. Las Sendas is adjacent to the Tonto National Forest, close to 202, shopping & dining.